Engineers at the University of Southampton have designed and flown the world's first 'printed' aircraft, which could revolutionise the economics of aircraft design. 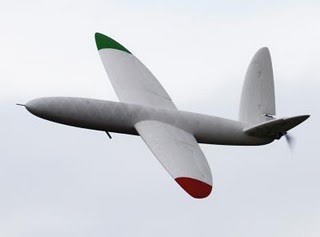 SULSA is the world's first "printed" aircraft. The electric-powered aircraft, with a 2-metres wingspan, has a top speed of nearly 100 miles per hour, but when in cruise mode is almost silent. The aircraft is also equipped with a miniature autopilot developed by Dr Matt Bennett, one of the members of the team.